It took a whole summer for Ethan Schwelling to work up the nerve to ask his future wife, Meg Bailey, out on a date. The two were working together at a Boston media production agency, he as an assistant editor, she as an intern. “I totally had a crush on her the entire summer,” Ethan explains. When not finding excuses to collaborate, the two exchanged glances in the hallway until Meg’s last day, when Ethan finally invited her to coffee. 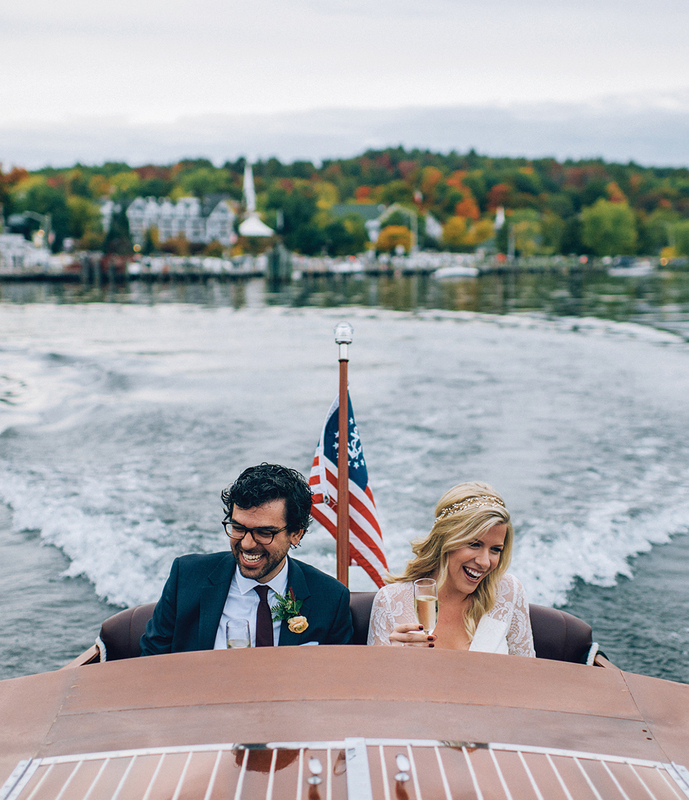 Seven years later, the couple said “I do” on Lake Winnipesaukee’s shores. 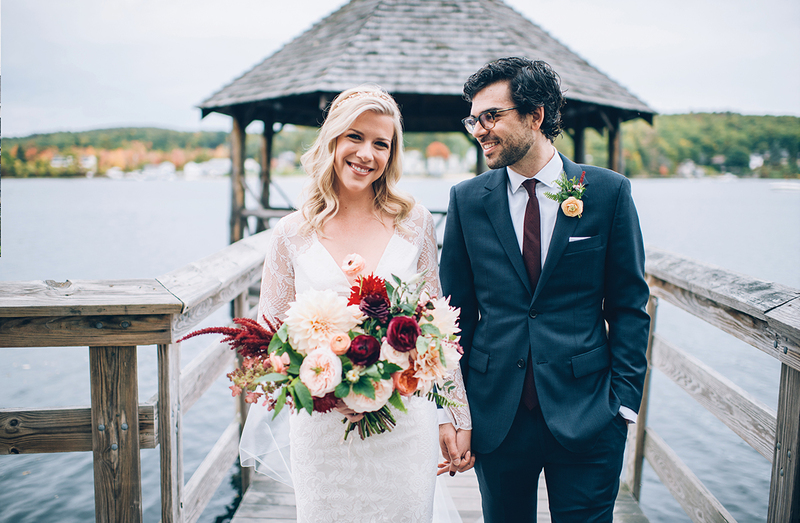 Even before they got engaged, Meg and Ethan knew they would marry in the area, having enjoyed many trips together to nearby Lake Kanasatka, where his family has a home. 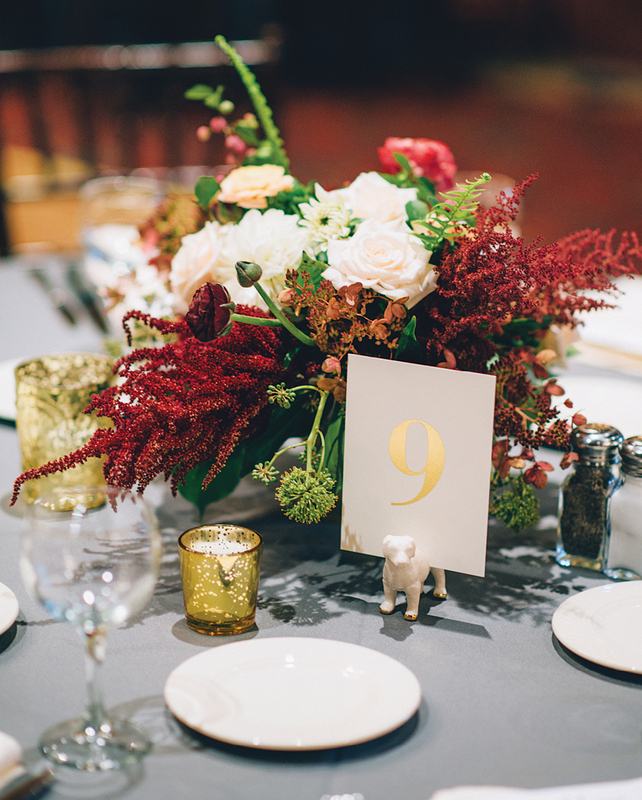 With a location chosen, they focused their attention on turning the wedding into a mini vacation for their guests, setting an October date to make the most of Winnipesaukee’s fall charm. “We wanted to work in the scenery as much as we could,” Meg says. 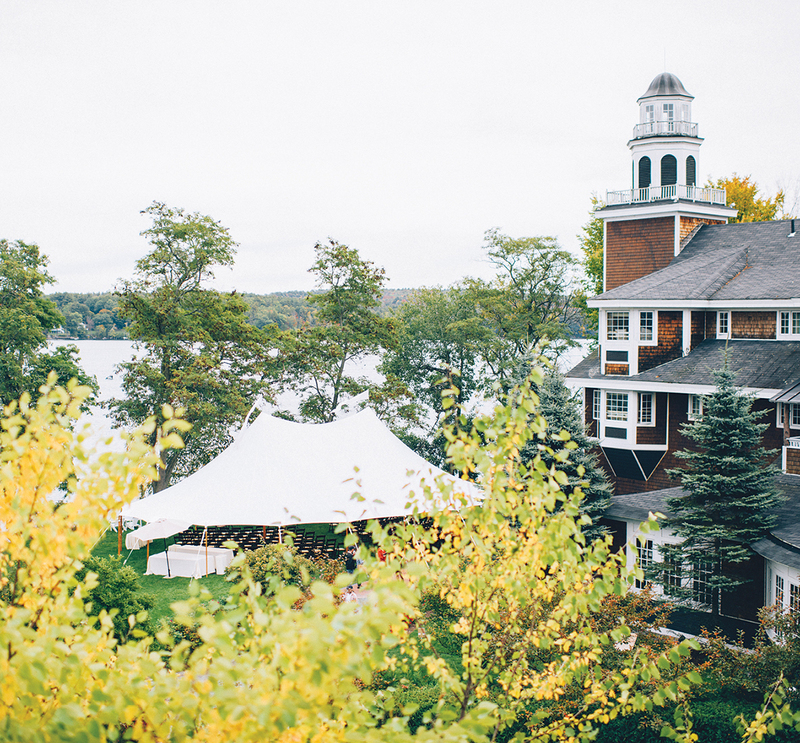 Church Landing’s stunning fall colors made an ideal backdrop for the couple’s wedding weekend. 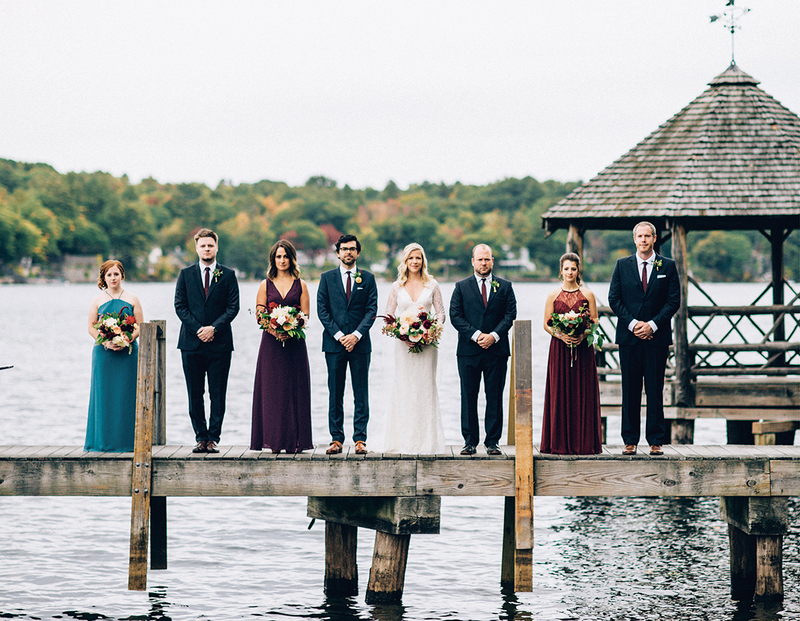 Meg shied away from neutral colors, instead dressing her bridesmaids in rich, jewel-tone gowns to complement the day’s autumnal vibe. 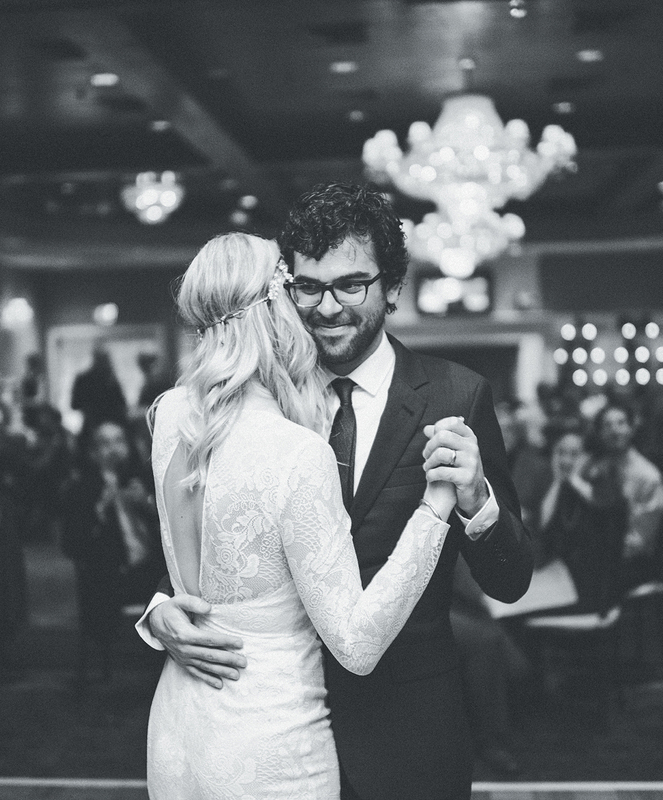 The couple chose Hozier’s “From Eden” for their first-dance song as an homage to the time they spent together in Ireland. 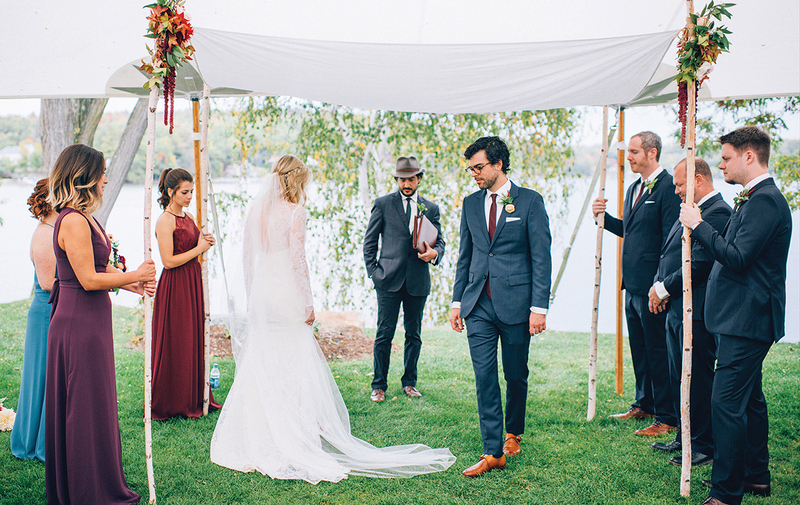 It was important for Meg, who’s Irish, and Ethan, who’s Jewish, to incorporate nods to their respective heritages, including a chuppah held by their wedding party during the ceremony and a riotous wedding toast performed with shots of Irish whiskey instead of champagne. 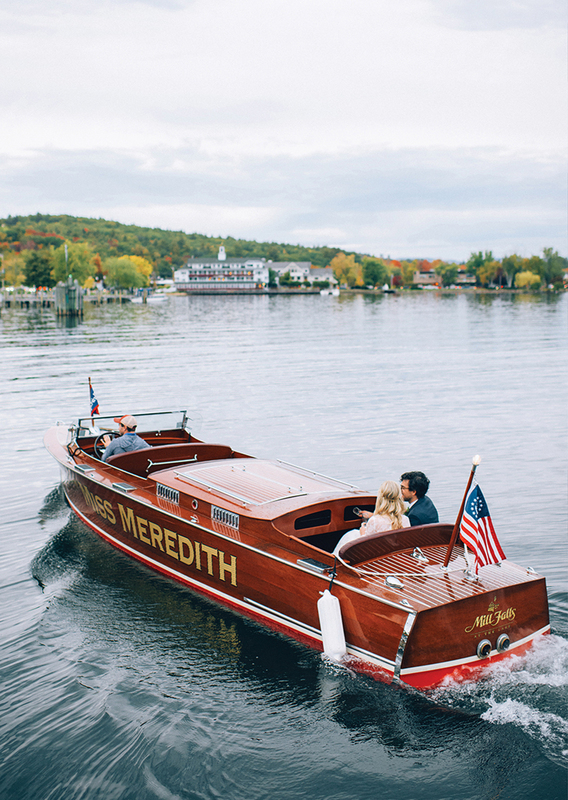 The newlyweds enjoyed a moment to themselves during a solo speedboat tour of the lake, a gift from Meg’s mother.